The crown is transferred to Felipe VI of Spain on June 19, 2014. His wife, Letizia and his two daughters stand before the Congress of Deputies for the ceremony. While living abroad over the past three years we have witnessed several historic moments up close. When we were in Mexico in March, 2013, we experienced firsthand the collective elation of the Latin American world when the Argentine cardinal, Jorge Mario Bergoglio, was named Pope Francis I. We were living in the United Kingdom in July, 2013, when Prince George was born, the newest heir to the British Throne. 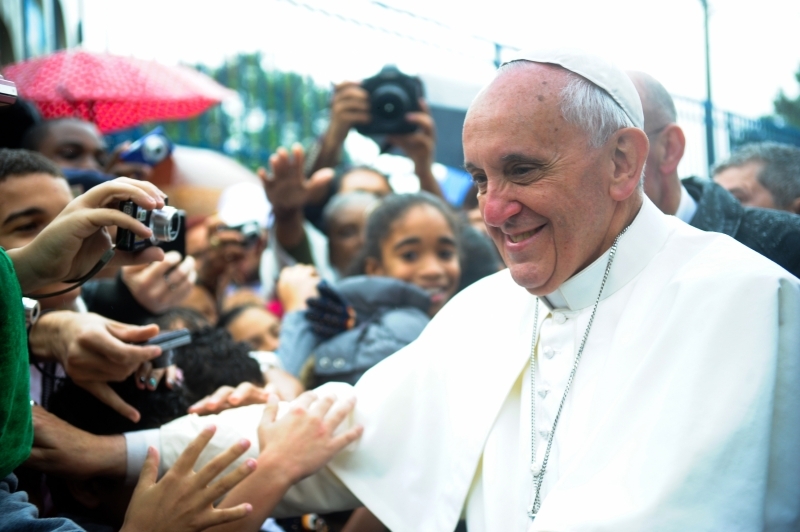 Pope Francis visits the slums of Vargihna, Brazil in 2013. 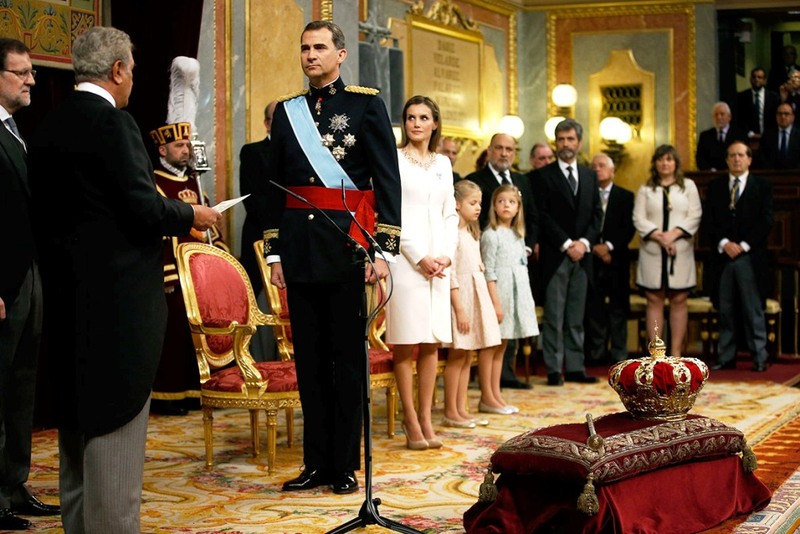 Most recently, we watched the swearing in of Spain’s new king, Felipe VI. The event was a ceremony without a coronation or much fanfare, following the abdication of his father, King Juan Carlos, for reasons of poor health. Even though this was a low key event by royal standards, hundreds of thousands of Spaniards lined up along the parade route from the Congress of Deputies to the Royal Palace in downtown Madrid, where thousands more assembled below the palace’s central balcony to cheer their new king and his family. Outside of the political arena, the top story in the world right now is the World Cup soccer tournament taking place in Brazil. It is fascinating to watch the hopes of sports fans from around the world rise and fall with the fortunes of their national teams. I wonder how many Americans know or care that the United States soccer team is still alive in the qualifying pool with Germany, Ghana and Portugal, and a victory in either of their next two games will advance the U.S. team to the win-or-go-home second round of the tournament. 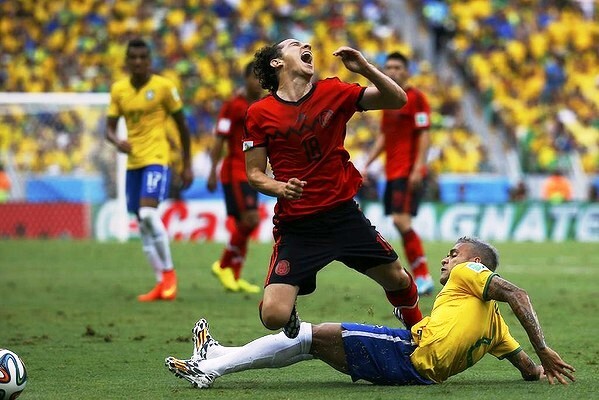 Mexico’s Andres Guardado is fouled by Brazil’s Daniel Alves. Every café and bar across Spain turns on the live telecast of the soccer matches. Games start here five hours later than local time in Brazil and fans gather in the evenings at every watering hole for the excitement. Unfortunately, Spaniards have had little to cheer about. Although Spain was the top-rated team going into the World Cup, this week they suffered their second straight loss and they will soon be packing for the trip home. Highly-ranked England lost their second game as well (to Uruguay), and they, too, are headed home. Although my expectations for the United States team are low, I will be excited if they advance in the tournament against the world’s elite teams, most notably Holland, Germany, Brazil and our next opponent, Portugal. And even though I am not a huge soccer fan, I find myself cheering for teams from my favorite countries that I have visited – Croatia, Chile, Uruguay and Mexico. Soccer in the U.S. has never caught on like football, baseball or basketball. Even professional hockey draws three times more paid attendance per season than does soccer. I think one reason Americans find men’s professional soccer laughable is because so often following contact between players, the player with the ball collapses in a theatric display of pain and agony, which looks as phony as professional wrestling. It appears these feeble antics are displayed with the hope of drawing a penalty, and most American spectators would react like ‘What a wussie!’ The exception this week was Mexico. Their machismo was evident as they battled host-nation Brazil to a 0-0 tie. The Mexican players jumped up quickly from the turf so as to not give any satisfaction to their more physical opponents that the hits they absorbed had any effect. The World Cup continues up to the finals on July 13, and I will be proud of the U.S. team no matter how they perform. Also, I will cheer for my favorite underdogs to hold their own against the world’s football powers. Unlike American football, superior strength and a strong running game is not the typical determining factor in a soccer match. Like Spain found out, being elite does not assure victory. Personally, I think Germany is the team to beat. Do you have a prediction? 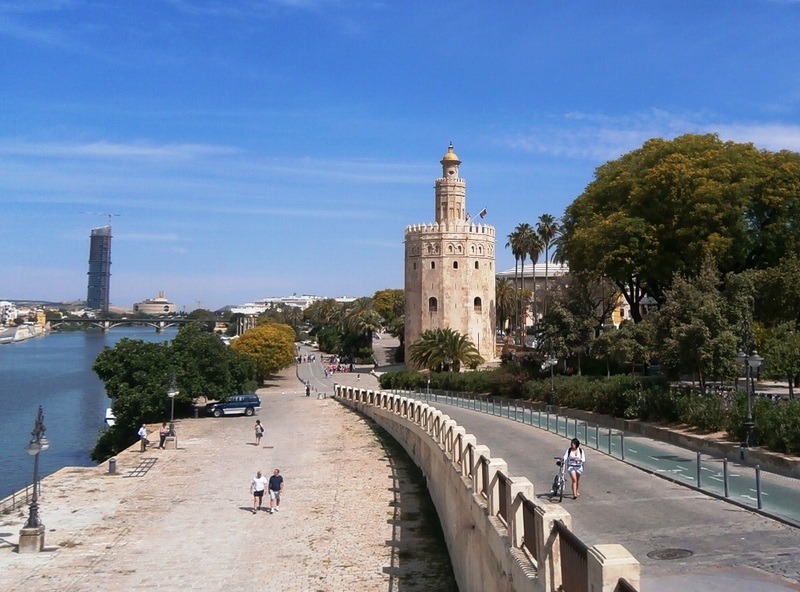 The Gold Tower was built during Moorish rule in the early 13th century to guard access along the Guadalquivir River. The tower’s lime mortar gave off a golden glow in the evening sun which led to its name, the Torre del Oro. Seville, an elegant city of over 700,000 people, rose to prominence as a working seaport on the Guadalquivir River. It served as the launching point for the exploration voyages of Christopher Columbus. Subsequent wealth that poured in from the New World making Seville one of the most important trade centers in Europe in the 16th and 17th centuries. In addition, the wealth of treasures the conquistadors plundered from the Incas and Aztecs funded an expansion in Spanish military power greater than anything in human history up to that time. 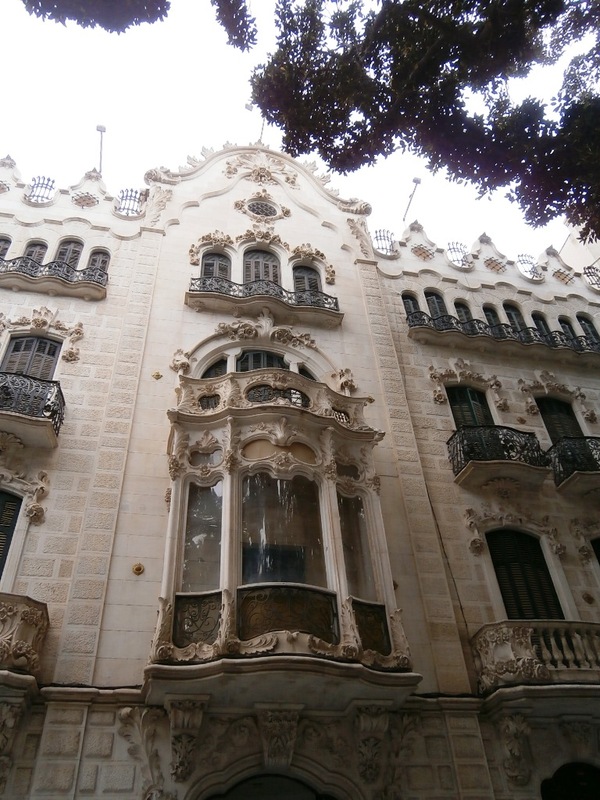 That wealth is nowhere more evident than in Seville. The bell tower of the Cathedral of Seville was originally a minaret for the mosque which once stood adjacent. 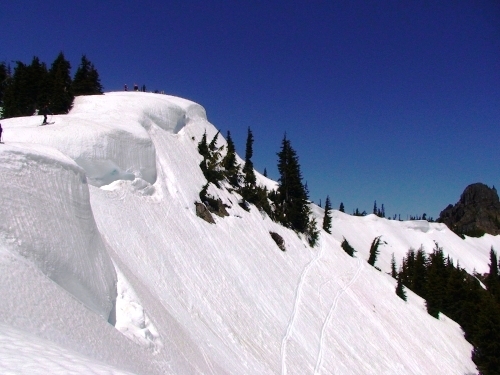 Over 340 feet high, the top is accessed by 36 ramps which allowed horsemen to ride to the top. 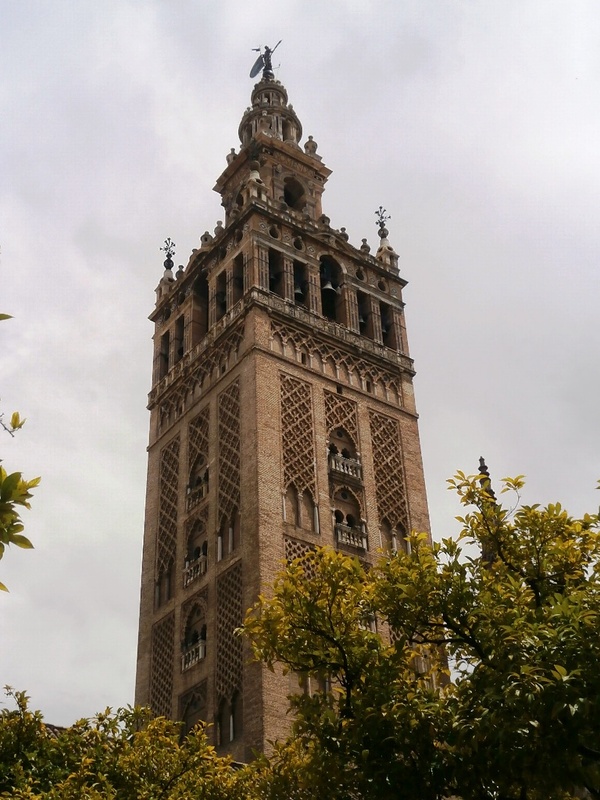 The Giralda is named for the weathervane at its top. 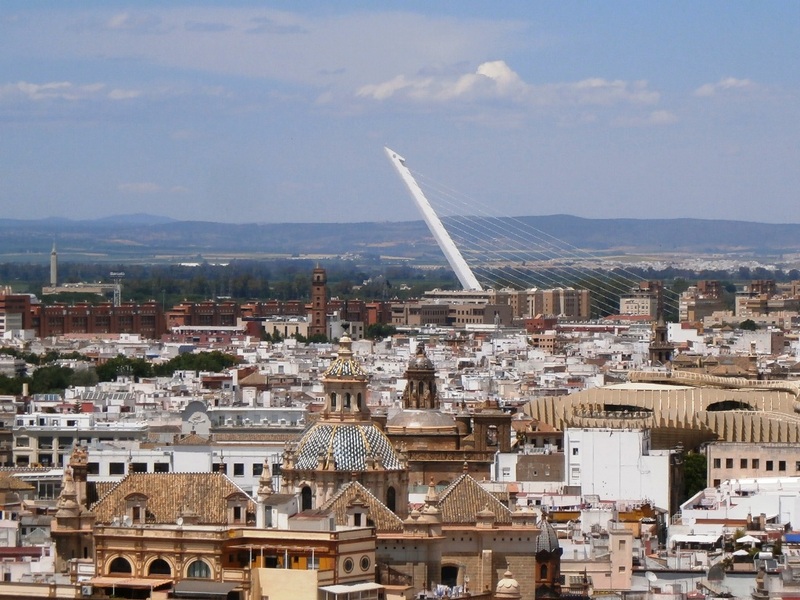 Seville from the Giralda Tower and the Alamilla Bridge’s slanted white tower built for Seville’s ’92 World Expo. Seville added to its prominence in the era of exploration with the global circumnavigation voyage of Ferdinand Magellan, which left from Seville in 1519. The city monopolized trans-Atlantic trade with the discovery of the New World and opened a Golden Age of art, literature and music. It was during this era that Cervantes wrote Don Quixote de La Mancha and the art works of Diego Velazquez and El Greco gained world recognition. The influence of these and other Spanish artists has carried over through The Renaissance to modern times. 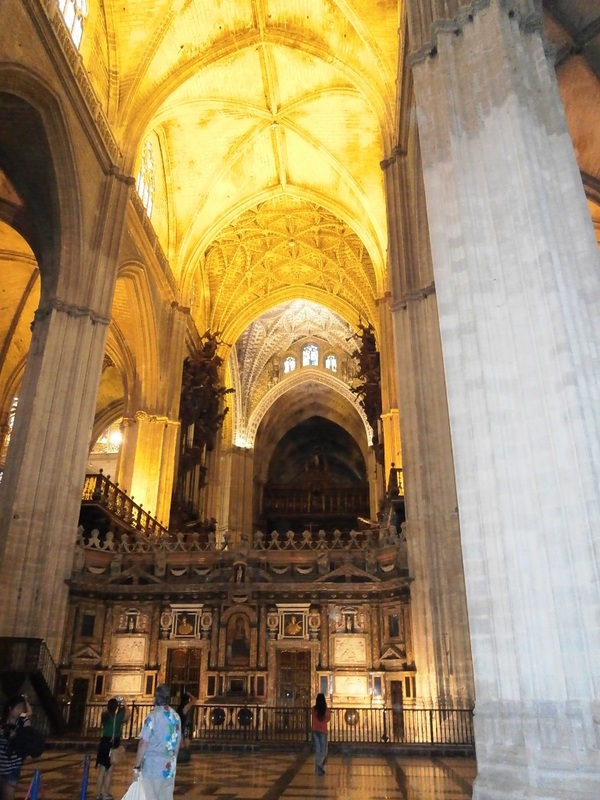 The vast scale Cathedral of Seville inspires awe. It is the largest Gothic cathedral in the world in both area and volume. Today, the architecture of Seville is a study in contrasts. The Cathedral of Seville is the largest Gothic style cathedral in the world and third largest cathedral of any type. The ultra-modern Parasol Metropol is the largest wooden structure in the world, and covers a subterranean archeological site. On the ground level is fresh market where vendors’ stalls offer extensive choices of meats, seafood, fruits, vegetables and baked goods. While it is not the largest of public markets, it offers a full range of purchase options. 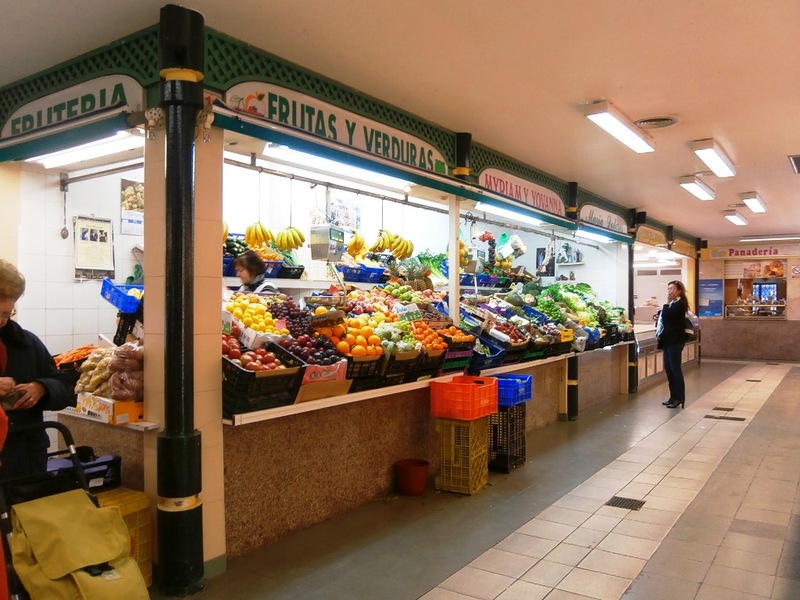 It is also maintained to a level of pristine cleanliness that outshines any public market I have ever seen. 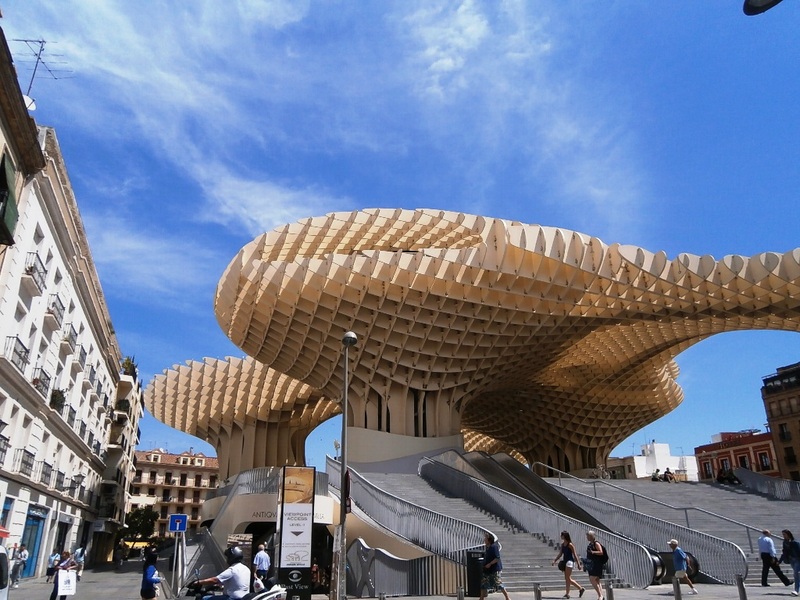 The Metropol Parasol is believed to be the largest wooden structure in the world – 490′ x 230′ and 85′ high. On the street level is the public market. The public market is housed below the Parasol. 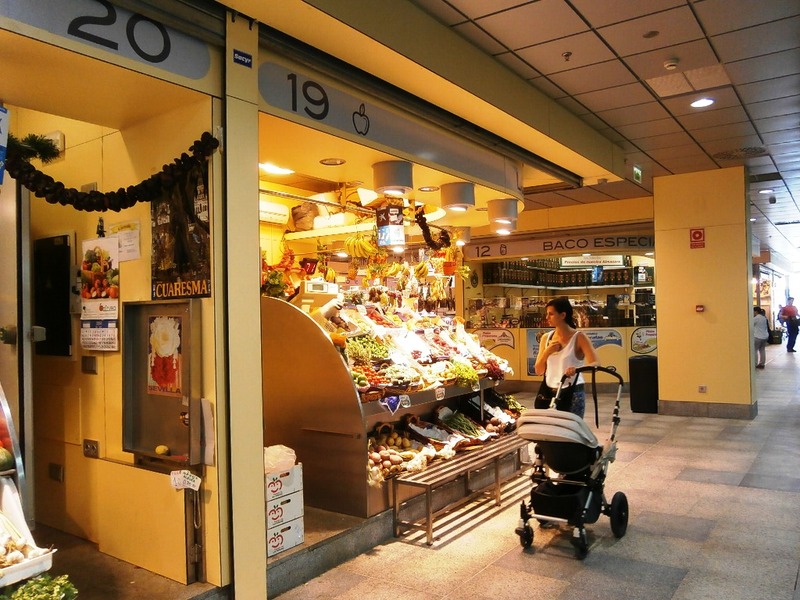 It sparkles with cleanliness and offers the full range of produce, meats and baked goods. Seville buzzes with vibrancy like any great university city with lots of young people surrounded by the bustle of commerce. I found a rich mixture of modern and historic architecture. There is no denying the artistic elegance of the city which proudly proclaims its class and style. This vibrant city will resonate with me for a long time. 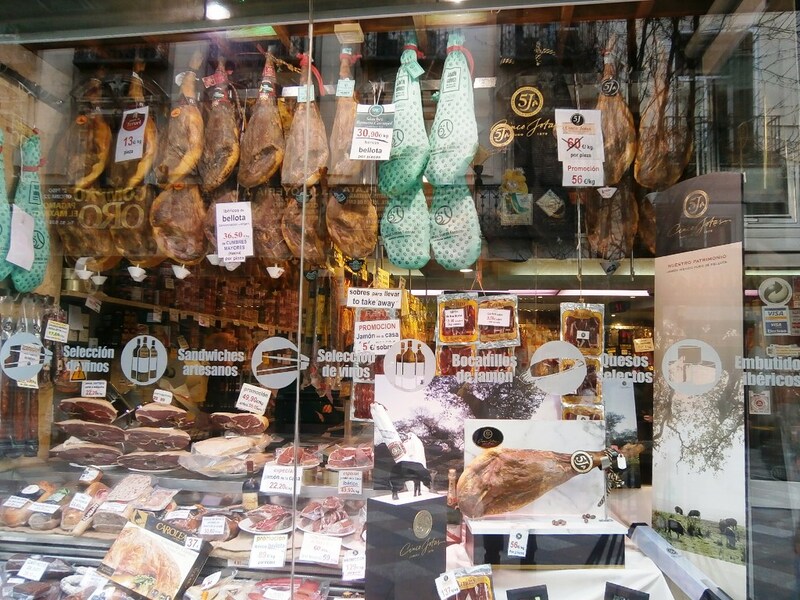 There is so much to see in Seville that I wish I would have had more time there. Unfortunately, a single day was all we had. That was most important thing I learned from our visit to Seville – to not try to fit in everything worth seeing into a single day. 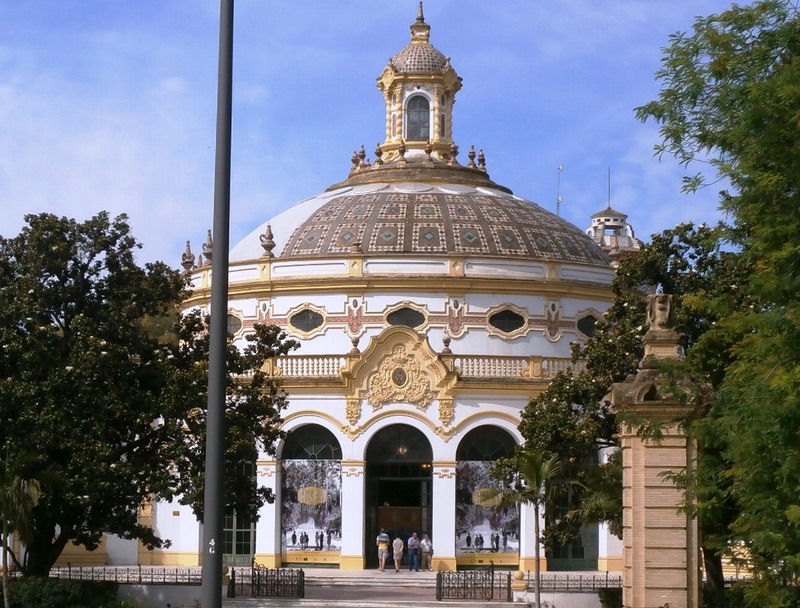 This pavilion marks the entrance to the Park of Santa Maria Luisa, once the grounds of Seville’s 1929 World’s Fair. 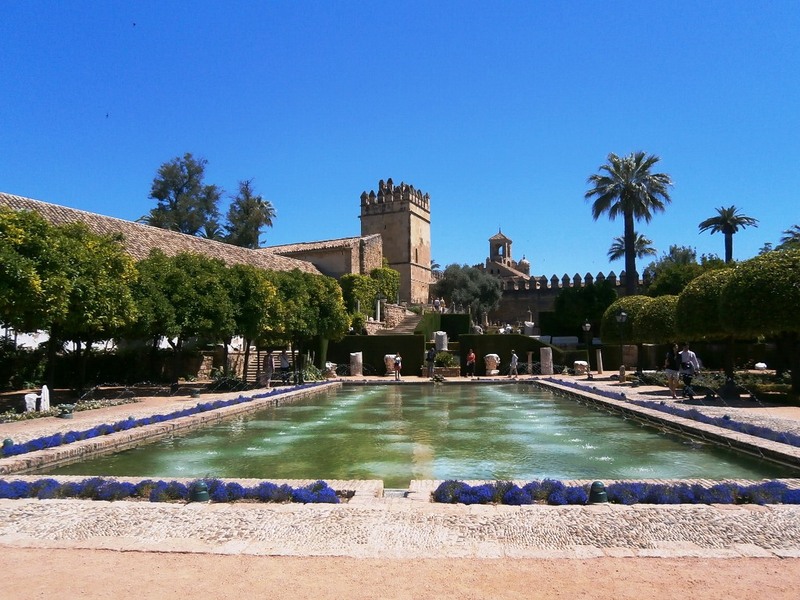 One of the many pools in the gardens of the Alcazar Palace. Our ride inland through the fertile and most populous region of Spain, Andalucía, revealed a checkerboard of golden acres of wheat alternating with verdant fields of sunflowers. I have never seen or imagined so many sunflowers, and the fields in full bloom glowed with bright yellow made all the more vivid under the shining sun. The walls surrounding La Mezquita give it a fortress-like appearance. 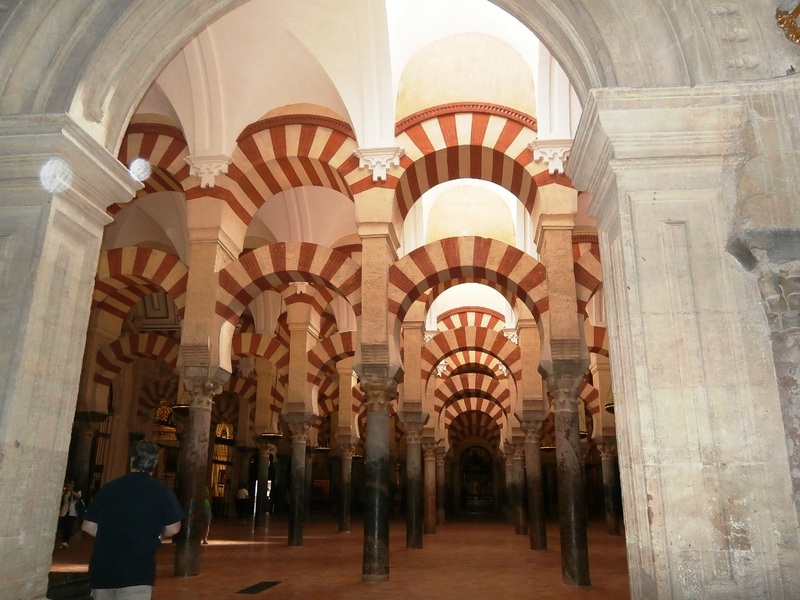 Our ABC Tour (Another Blessed Cathedral) ultimately led us to La Mezquita (The Mosque), now known as the Cathedral of Cordoba. There is nothing like it in the world and a bit of history is necessary to appreciate its story. Pushing back the boundaries of a weakened Roman Empire, the Visigoths built a Christian church in Cordoba on the site of a temple honoring the Roman god, Janus. The Visigoths controlled most of what is now Spain for over 100 years before the Muslim conquest early in the 8th century. The courtyard of palm and orange trees leading to the entrance of The Mosque Cathedral. 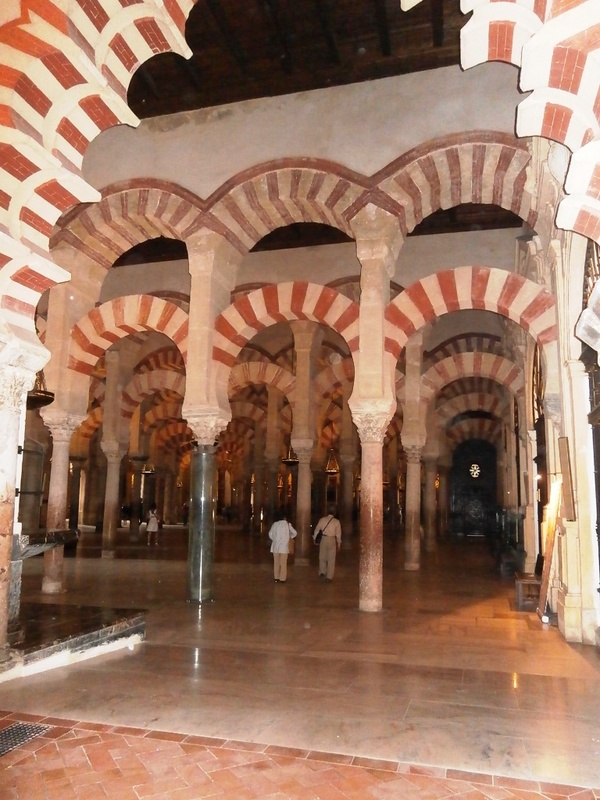 The Muslims (referred to as Moors in Spain) made Cordoba the capital of their Al-Andalus region in 718 AD. Beginning in 784, the emir of Cordoba ordered the construction of a mosque on the site of the Christian church, which was demolished. 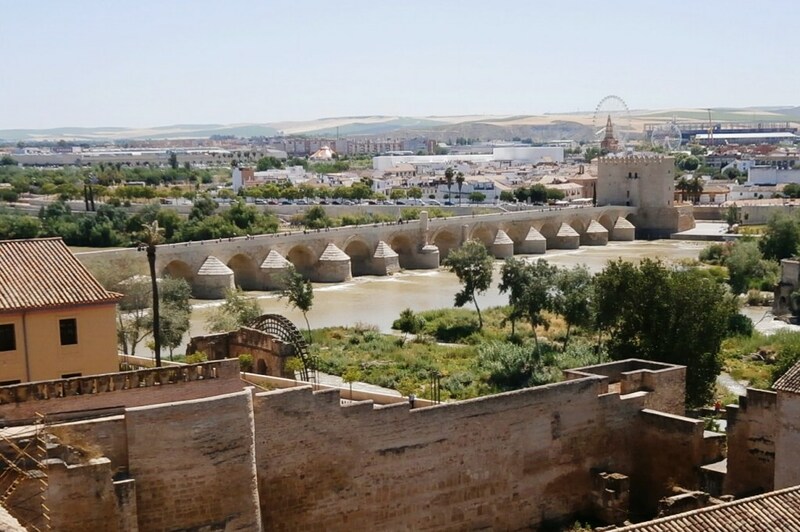 During this period, Cordoba also became one of the most prosperous cities in the world, known for its advancements in science, art and architecture. The Christians and Jews in the city were welcomed to stay and worship as they pleased as long as they paid a tithe to the Muslim emir. The array of columns hints at rows of palm trees in a desert oasis. Over a period of 200 years the mosque was enlarged and enhanced until it became one of the largest and finest mosques in the world. It is an impressive structure covering some 250,000 square feet. From the outside the mosque does not appear that impressive. 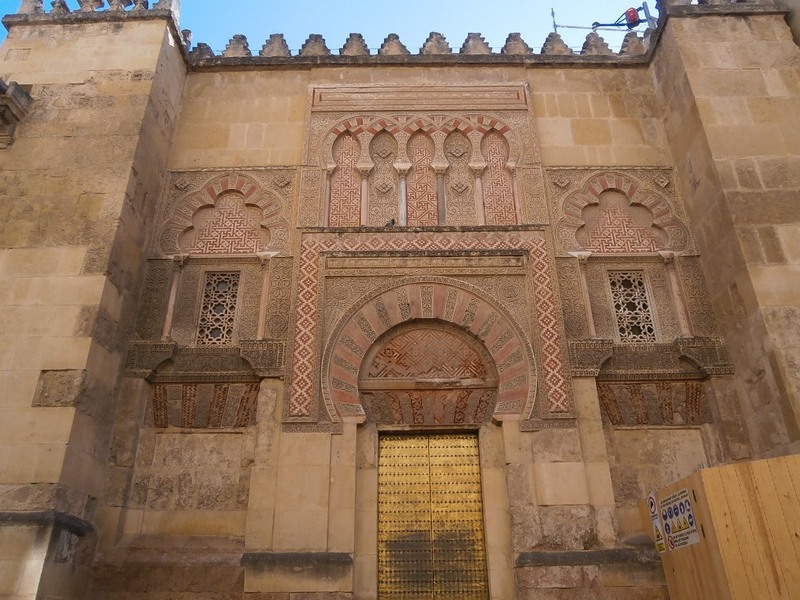 While ornate by today’s architectural standards, the mosque gives off a distinctly military feel with forty foot high walls and iron gates at its arched entries. The Mosque covers an area of over 250,000 sq. ft. with over 800 columns spread throughout. Once we entered the huge courtyard and the cathedral itself is its grandeur revealed. Florence and I both looked at each other and simultaneously mouthed, ‘Wow.’ (If only there was a word that equaled Wow to the tenth power.) The expanse of the mosque is filled with over 850 columns made of onyx, granite, marble and jasper, all holding up brightly colored red and white arches which in turn support much higher arched ceilings. The Roman Bridge featuring 12 arches connects the Old City with the new. 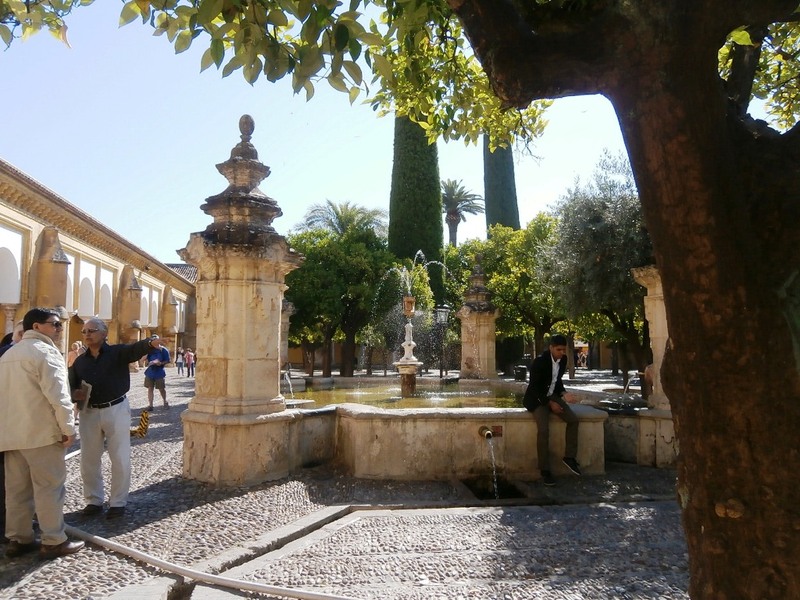 Cordoba today is a tranquil city with parks and plazas with plenty of fountains and statuary. 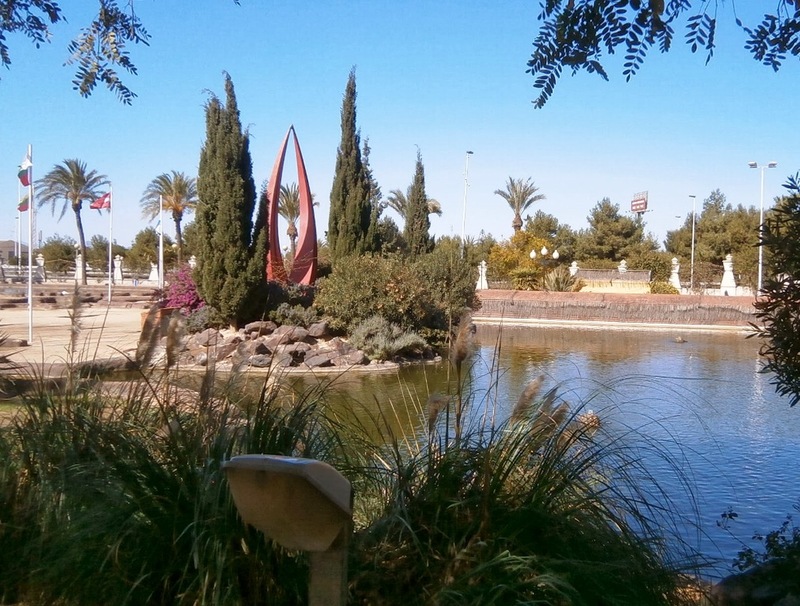 It is also one of the premier locations in the world for bullfights. Many people find bullfighting to be a cruel sport. In fact, bullfighting has been banned in some areas of Spain, most notably Barcelona in the Catalan Region. However, bullfights remain popular in Andalucía. There are fourteen bullrings in Cordoba, the largest of which is the Plaza de Los Califas, which seats 16,900 spectators. The excitement stems from the possibility of death faced simultaneously by both fighter and bull. It is worth noting that bulls bred to fight are raised and treated gently and fed only the finest food fit for a bull. As for the moral principle of bullfighting, I personally find it hypocritical to criticize a fight to the death between man and bull when we as a society raise vast herds of cattle to be unceremoniously slaughtered without giving it much thought. We topped off our tour of Cordoba with a stroll through the picturesque Jewish Quarter with its artisan ceramic and leather shops and a synagogue dating back to AD 1350. We passed the museum of the Spanish Inquisition in which about 3,000 people (some estimates are higher) were executed for their religious beliefs. We also visited the nearby Alcazar Castle with its spectacular gardens. 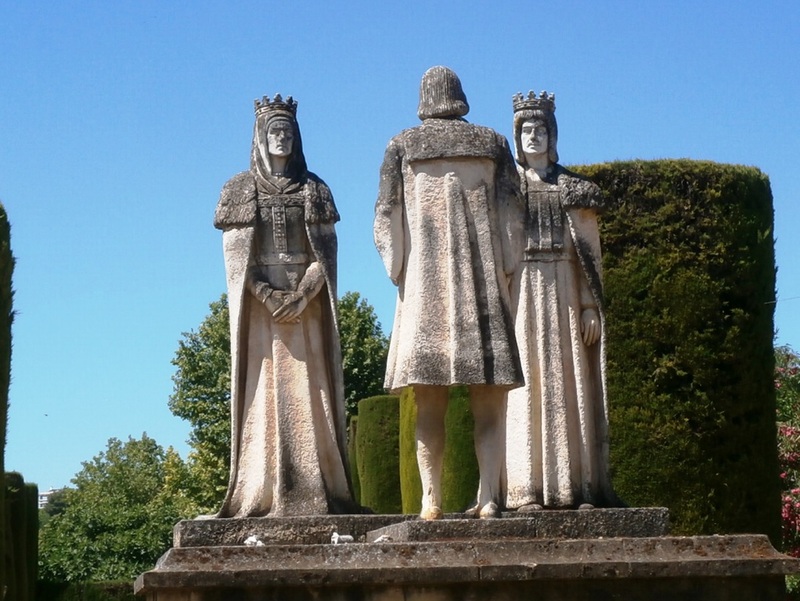 The royalty of Spain clearly knew how to live in grand style. The power of the once mighty Spanish Empire came full circle for me after having seen the Spanish influence in colonial Latin America during our two years touring and living there. Even though Spain is no longer considered a major world power, its place in history is forever set with an elegance that rivals any country. Unlimited hydroplanes racing down the backstretch on Lake Washington. Note: In July, we will be returning to the United States to begin a new chapter in our travel lives. 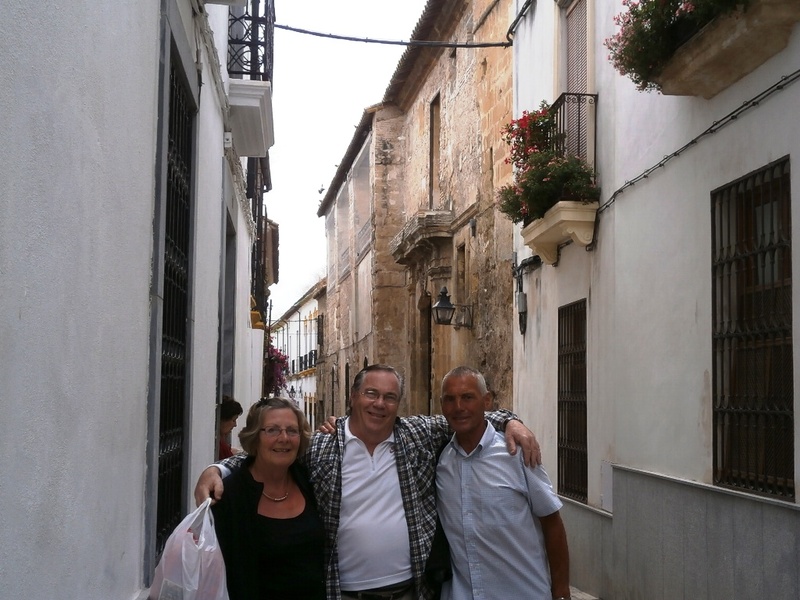 With this blog, Applecore, I will continue to write about our travel adventures. However, our lifestyle as The 6 Monthers is nearing its conclusion. As our time in Spain comes to an end, I have begun contemplating our next destination – the return to my home state of Washington. Inspired by memories of my younger days, this story is the first in a series looking back on my experiences growing up in Seattle. Much of this story will be news to newcomers to the Seattle area, those who came within the last 40 years. It was a time before Seattle had the NFL Seahawks, the Major League Mariners, or an NBA franchise like the now defunct Supersonics (now known grudgingly as the Oklahoma City Thunder). We had the AAA baseball Seattle Rainiers who played at Sicks Stadium, located on Rainier Avenue where a Pepsi Cola warehouse now sits. We also had the Western Hockey League Seattle Totems who played at the Civic Ice Arena, now known as the Seattle Center Arena. However, these were minor diversions for sports fans. There was only one sport that owned Seattle during my youth in the 50’s and 60’s – unlimited hydroplane racing. Hometown favorite, Miss Bardahl won the National Championship in 1967 and ’68. In 1947, a national racing circuit was established for unlimited hydroplanes. They were powered by V-12 Allison aircraft engines surplused after WWII. The Allison’s were gradually replaced with V-12 Rolls-Royce Merlin aircraft engines, the ones that powered the British Spitfire fighter planes. Generating over 1,000 horsepower, these extremely loud aircraft engines were what led to nicknaming the hydros as ‘Thunderboats.’ Even where I lived south of the city near Burien, I could hear the Thunderboats from my home five miles from the Lake Washington racecourse. Why was unlimited hydroplane racing so big in Seattle? Other than no big-time sports in the city, the lakefront along Lake Washington was, and still is, public park land. 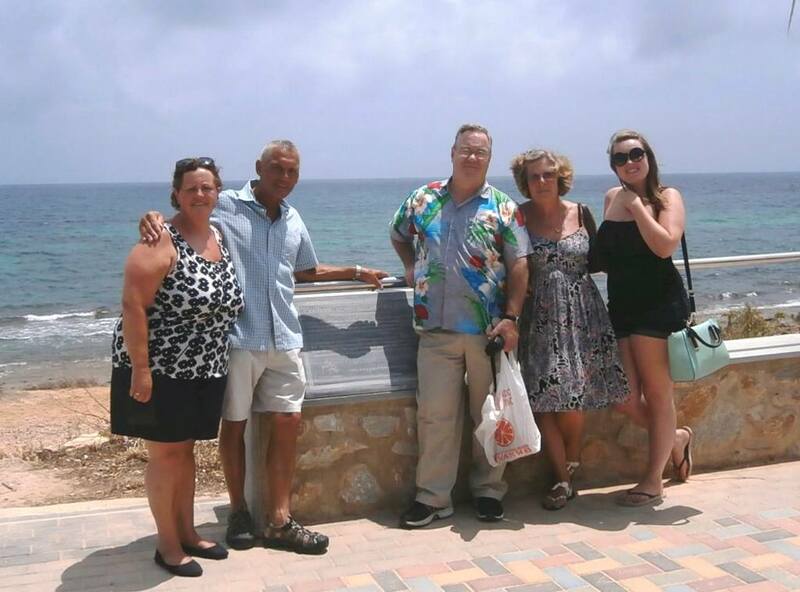 It was an ideal setting for a daylong summer outing for the whole family. The fans, who enjoyed swimming and picnicking between racing heats, turned out by the hundreds of thousands. There was also a floating log boom installed along the backstretch of the racecourse. To this day motorboat enthusiasts moor side-by-side to form a mile long flotilla of partying race fans. Annual attendance estimates in the 50’s were around 400,000 people for the hydroplane races – almost half the population of the Seattle Metropolitan Area at the time. 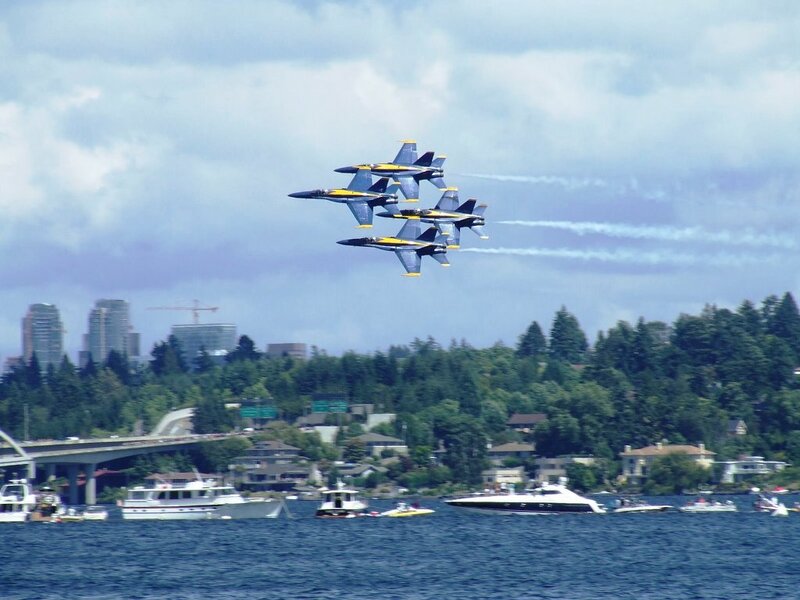 The U.S. Navy is popular in the Puget Sound region, and their Blue Angels are a Seafair fixture on race day. One great legend from this era was that of test pilot, Alvin ‘Tex’ Johnson. Originally from Arkansas, he acquired the nickname ‘Tex’ from his penchant for wearing a Stetson and cowboy boots on the flight line. He came to Boeing from Bell Aircraft, where he piloted, among other prototype aircraft, the rocket-propelled X-1, which pioneered the breaking of the sound barrier. At Boeing, Johnson, the first pilot to fly the B-52 Stratofortress, sealed his legend when he flew the prototype Boeing 707 over the Lake Washington hydroplane racecourse on race day and performed a barrel role directly overhead of thousands of awestruck onlookers. This risky maneuver, never before attempted in a four engine passenger jet, was captured on film. (Click here for the brief video.) The story goes that Tex was called before then Boeing President, Bill Allen, and asked what the heck he thought he was doing, to which Tex replied, ‘I’m selling airplanes.’ And that is exactly what he did. Orders for the 707 came pouring in after his stunt, and Johnson was never fired, suspended or fined. Other legends arose from the early hydroplane days. Col. Russ Schleeh, who left his career as a test pilot to drive the old Shanty I hydroplane, is still the only hydroplane driver ever to get his photo on the cover of Sports Illustrated (September, 1957). Old time race fans will remember the 1950 Slo-Mo-Shun IV driven by Stanley Sayres that set a world water speed record of 160 mph breaking the 11 year old record by almost 20 mph. Two years later the same boat set a new record at 178 mph. On race days the ‘Slo-Mo’ used to stop traffic on the Lake Washington Floating Bridge as it left its owner’s private dock near Leschi Park, a mile north of the racecourse. It would race under the west high rise of the bridge and time its approach to the starting line going 160 mph as the starting gun sounded. The running start was halted when the rules were changed requiring all boats to start from and return to the pits. Unlimited hydroplane racing is inherently dangerous. Even the modern aerodynamic boats can get airborne at high speeds. Other early hydroplane drivers were household names in Seattle: Mira Slovak – The Flying Czech (who escaped Communist Czechoslovakia as an airline pilot who diverted his commercial flight to Luxemburg), Dean Chenowith, Ron Musson and Bill Muncey. Slovak was the only one of these drivers not killed in competition before safer boat designs were instituted. My most vivid memory of the hydroplane races was standing on the shore of Lake Washington in 1969 as six Thunderboats came across the starting line. They came roaring straight toward me side-by-side at 150 mph as I stood waist deep along the shore near the first turn. Imagine seventy-two un-muffled combustion chambers exploding with aviation fuel as the boats spit out roostertail wakes fifty feet high. 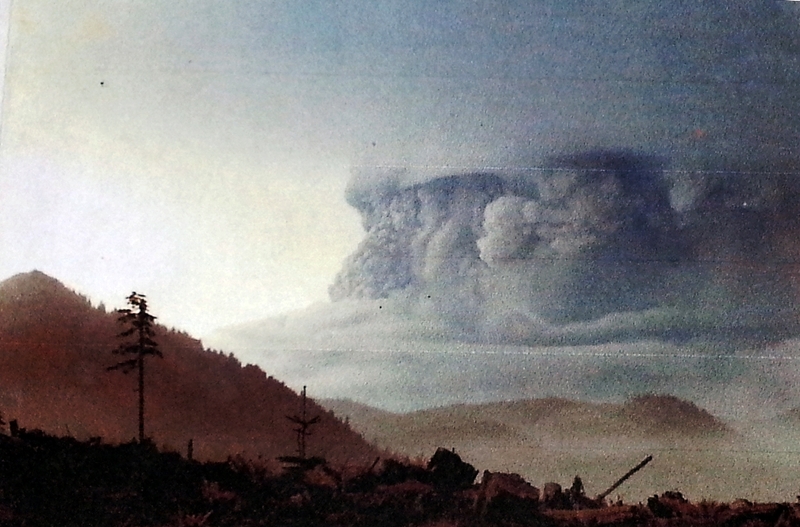 The sound was so loud that it pulsed through my bones like a hundred sub-woofers cranked to the max at a KISS concert. I have never experienced such total immersion in sensory overload as I did at that moment. Beginning in 1980, unlimited hydroplanes began using Lycoming T-55 turbine engines. Initially built to power Chinook helicopters, these engines produced over 3,000 horsepower. The safer design of updated hydroplanes incorporate space age components, advanced aerodynamics, and enclosed cockpits. As fast and powerful as these boats are, now easily reach speeds in excess of 200 mph, their high-pitched turbines can never replace the excitement and sensation of the classic Thunderboats. 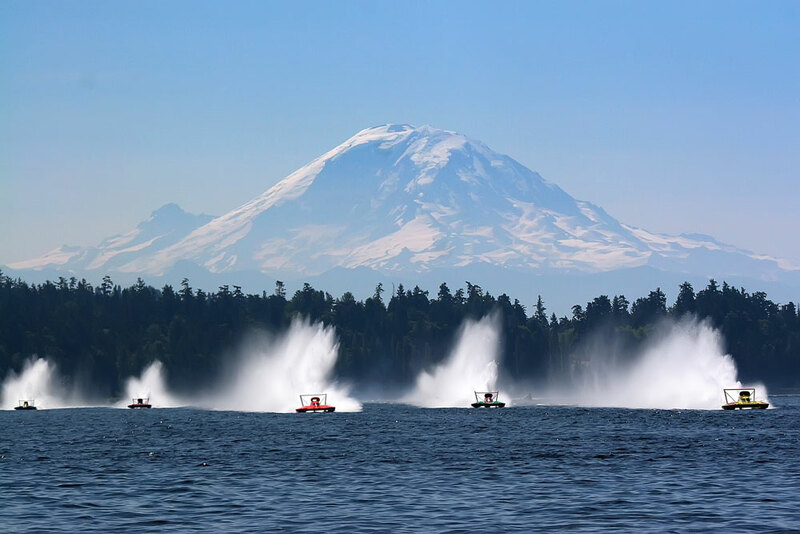 Seattle’s annual Seafair celebration still culminates with unlimited hydroplane races on Lake Washington, and the races are still a great extravaganza. Every year over a quarter million people line the course to watch the races. 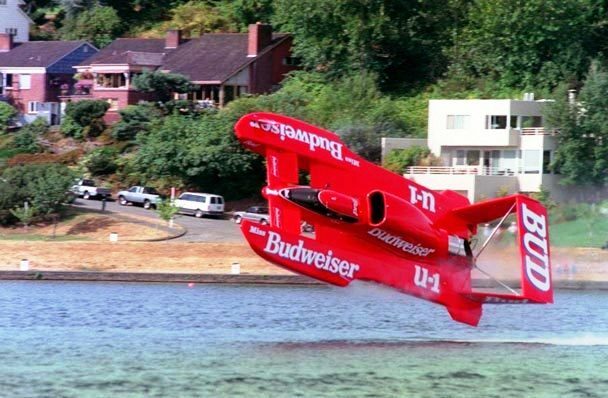 However, with so many sports options available, hydroplane racing in Seattle will never regain the unique excitement once provided by the Thunderboats whose tradition is kept alive only when there is a demo race of the classic hydroplanes. What remains of the Thunderboats are museum pieces which can be viewed at the Hydroplane and Raceboat Museum in Kent, Washington. 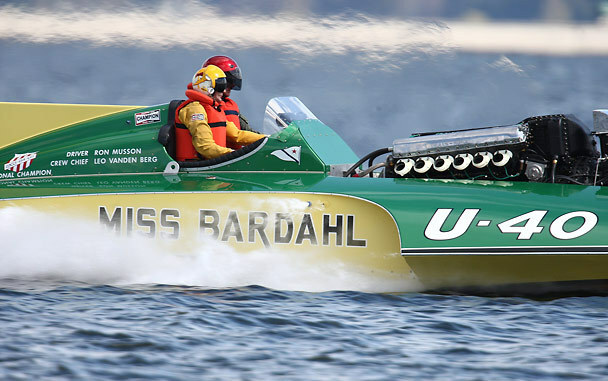 Note: For more reading about the Thunderboats, click here for another story I ran across by another Seattle old-timer with his own take on the classic hydroplanes.